The moment I saw the Benefit Christmas edition sets being released I knew I wanted to get my hands on this particular set with six of their Box O' Powder blushes and a cream highlighter. On my latest shopping spree I finally got my hands on it and I can tell you I am super happy to have bought this. Yes that's right last week I was on quite the shopping spree and bought a couple of things with my vouchers from the SACO Beauty Challenge. Instead of doing a big haul all at once I thought I would gradually start revealing to you all what I picked up over the next couple of weeks so I can give you a little bit of a review with each new item. 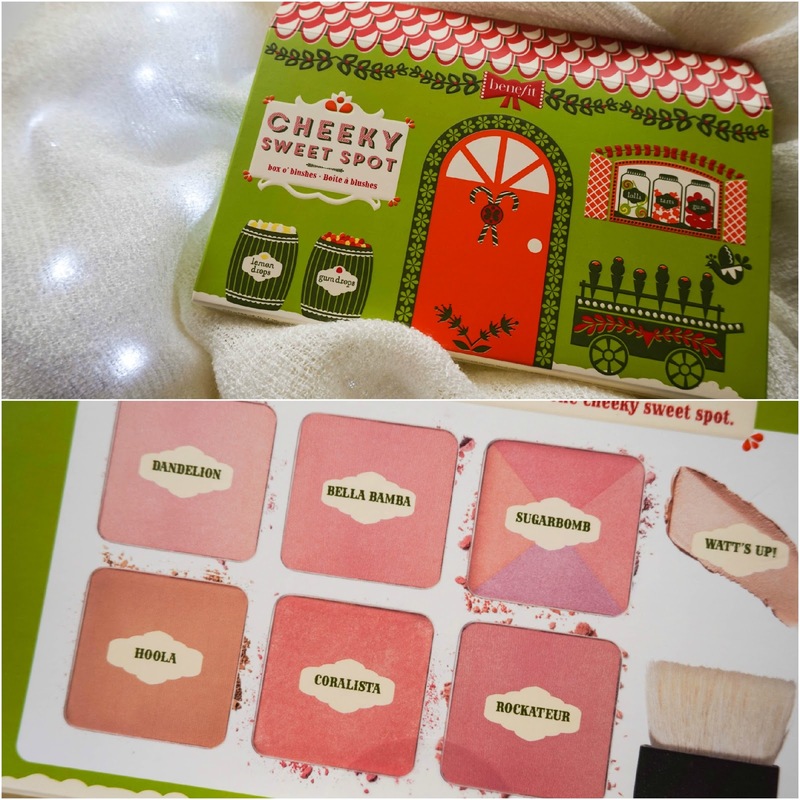 So first up is this gorgeous Benefit Cheeky Sweet Spot set which I have been using since buying and I can already recommend it to you all. Box O' Powders are my favourite products from Benefit so getting my hands on this was really a no-brainer. Over the years I have tried my fair share of their blushes and from this box the only two I hadn't tried yet were Rockateur and Watts Up. Now I can finally tick them off that lists and confess that they are probably my favourite out of the bunch. I love them all don't get me wrong, but those two with a little bit of Hoola bronzer create the best trio for me this time of the year. The set is not exactly travel friendly let's face it, because although it's got everything you need for defining the face and more, it's on the bulky side. However I am sure that I will manage to squeeze it in my bag somehow for my trip to Dublin during the festive holidays. 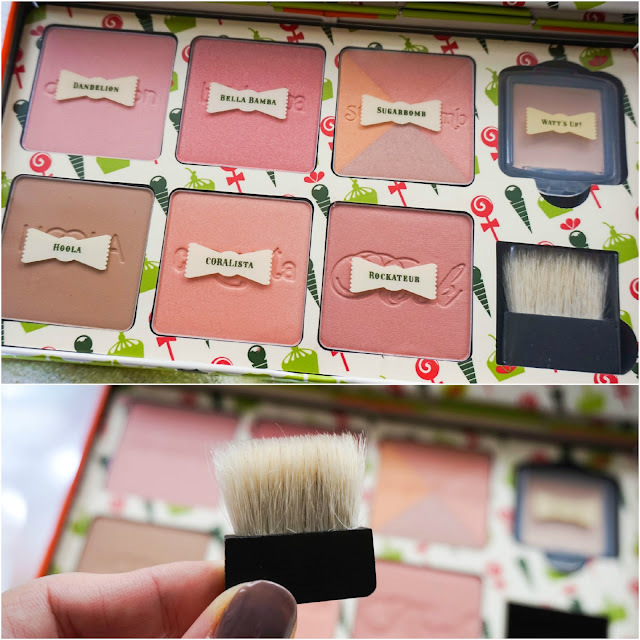 As you can see it comes with a mini version of the brushes you tend to find in their Box O' Powders, but to be honest it's not as soft as it should be for the face so I dunno if I will ever use it. I guess it's good to have it there in the set, but it should definitely be of higher quality in my opinion. Another thing to point out is that for such a bulky box this is missing a mirror which would have been a really nice addition to the set. Anyway enough with the bad points, let's get on to the good stuff. 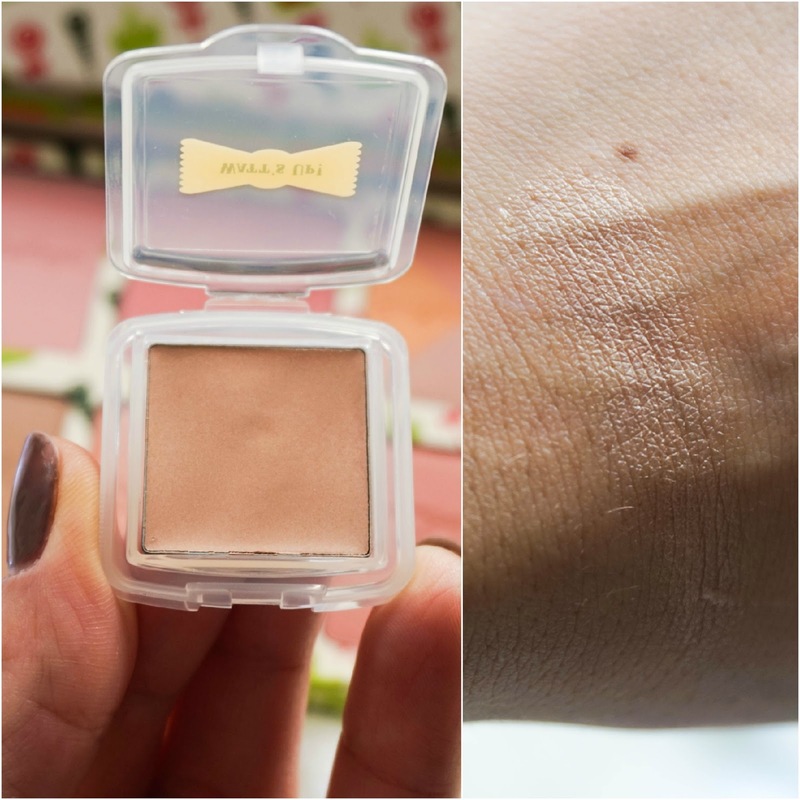 I love the Watts Up highlighter and most of all I think it's great that it comes in this plastic container that can be popped out of the set and brought along with you. Come to think of it I think that should have been done that with all the powders, how travel friendly would it be then… This cream highlighter has a rose gold sheen to it and it just applies beautifully onto the skin. I have only applied this with my index finger and so far so good, I don't even think you need a brush as it transfers so well this way. It's fast becoming one of my new favourite highlighters. Now onto the powder shades, as you can see there is a great mix in there for all skin tones and for any time of the year really (even though it's a Christmas set I will have no problem wearing the lighter pinks and corals when the weather starts warming up again). With each product you get quite a good amount in terms of grams compered to the full sized version which is great as it means it will last you longer and it's also better value for money. 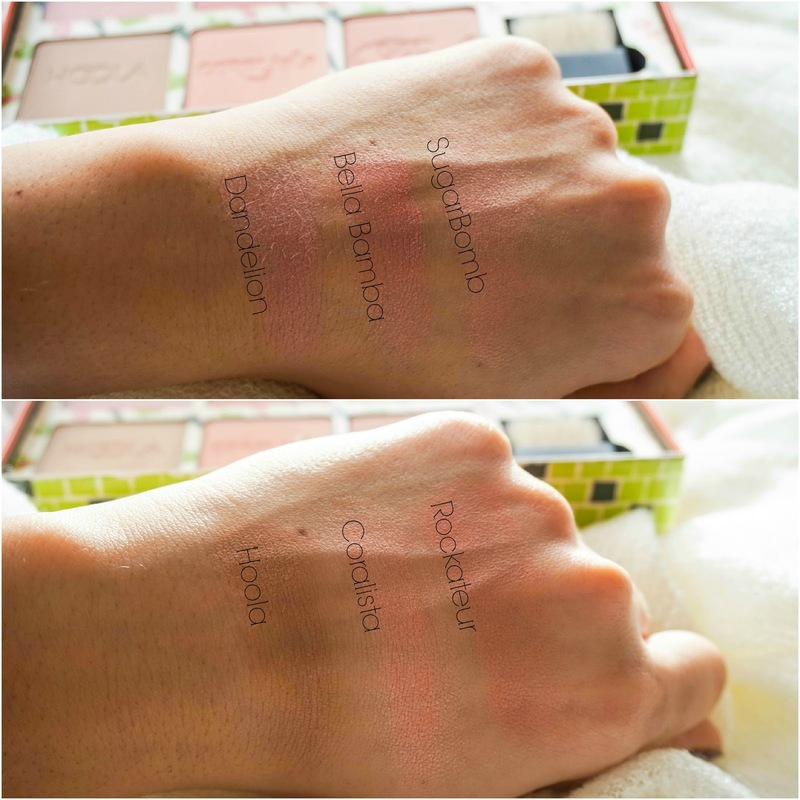 I've swatched each shade for you starting with the top row so you can get an idea of how it looks on the skin. Starting with the top row, first we have Dandelion which is a lovely soft pink, very natural and matte with just the slightest hint of shimmer. This can be used lightly as an all over the face powder or build up for a natural blush colour. Right beside that we have Bella Bamba which is a watermelon shade with lots of gold shimmer through it. This is definitely one of the brighter shades here and you could probably skip highlighter when wearing it. This seems to be out of stock everywhere so my guess is that it has been discontinued. Next up is SugarBomb which has four different shimmering shades within it: peach, soft plum, rose & pink, which create a gorgeous flush of colour when build up, but with a light layer it can be used as a highlighter alone. I have never tried using each shade individually but if you have the patience of using a very small brush then the shades are also stunning on their own. 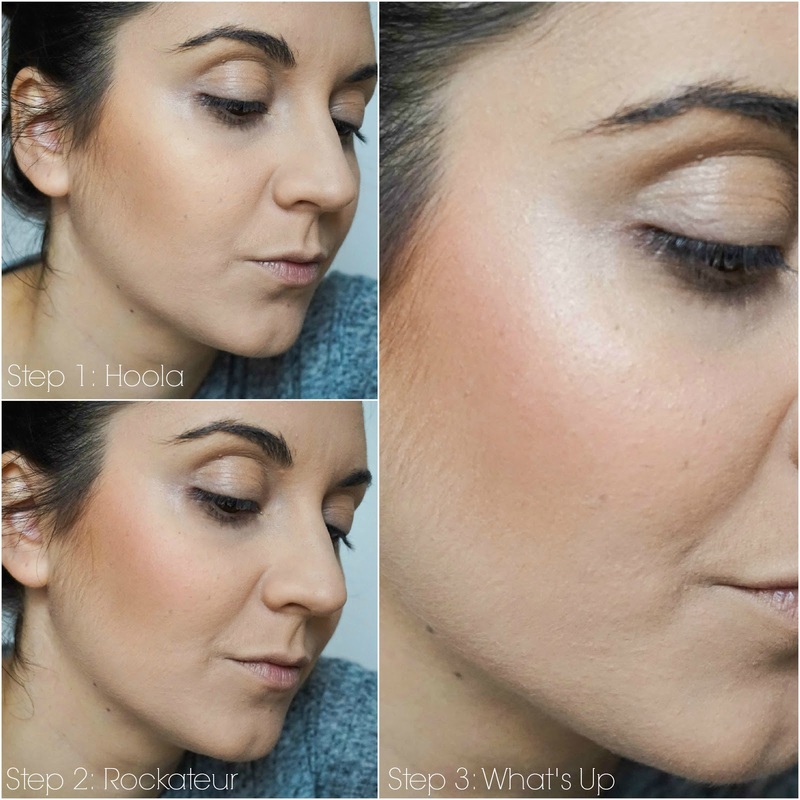 Onto the bottom row, we first have Hoola which is one of my favourite bronzers ever, I have raved about this before many times, so I won't say too much. Beside that we have Coralista which is a coral shade with hints of pink and shimmer through it. This is such a stunning shade for summer and I can't wait to use it again, once the weather starts warming up. Last of the bunch is my new favourite shade Rockateur which is described as a rose gold shade, but to me it is a lot darker and definitely more cool toned then the name suggests. I am loving it for this time of the year.